Hey pretty ladies! Throwing a bridal shower for your dear friend soon? A girls' night out, made more exciting with a list of dares -- that's what this is all about. Before dancing the night away with your girls, give your lovely bride-to-be with a to-do list that she has to complete for the night. 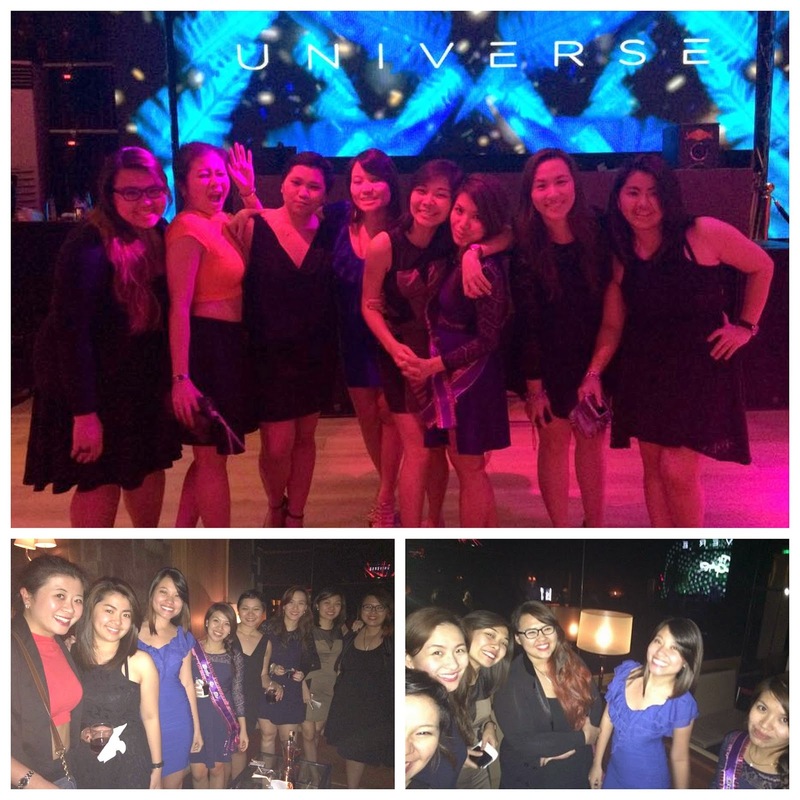 Us girls at Universe Nightclub. I was looking a little sleepy in the first photo lol! Wee-hours-of-the-morning look! The 4 important things that you need to pin down are: attendees, date, venue and budget. 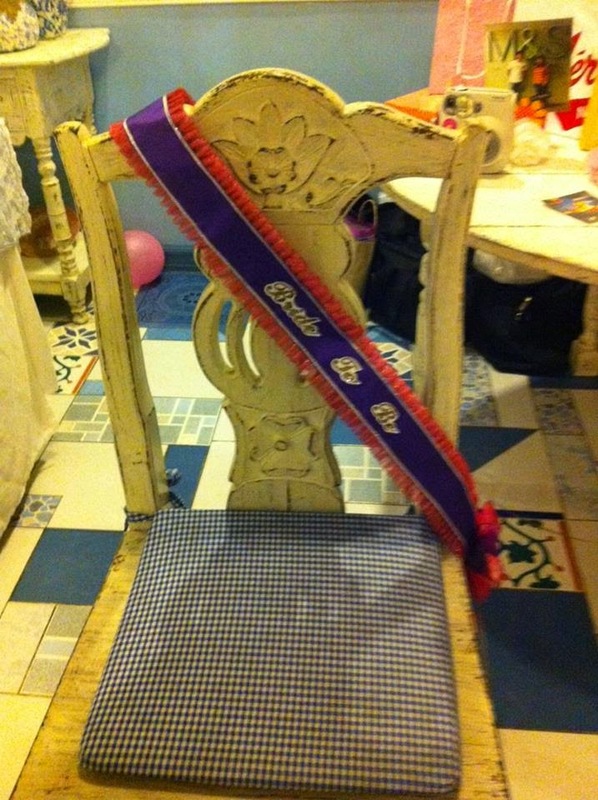 Once you have those finalized and booked, you can talk about the other details like the theme, program and the menu. You can opt to go for home service or go to the spa itself. It was my first time to be in a steam room wherein we sweated like crazy despite the ice cubes we were smothering over our faces and the glasses of iced tea that were served... but it felt really good after and it opened up the pores to prep the body for the body scrub and massage :) The steam room was perfect for us 8, so even this was a bonding activity! That and you get to feel oh-so-beautiful and relaxed after! 4 hours ba naman eh!!! Kung hindi ka pa marelax, ewan ko nalang! 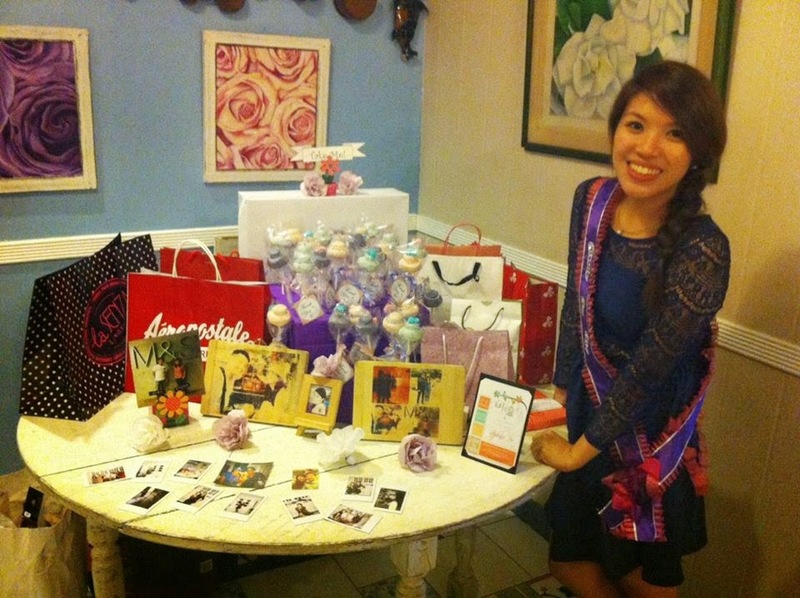 When we were planning for a bridal shower for Den, we knew that we better include something crafty because she's really creative and she enjoys painting, coloring and DIY stuff. We rented a room at Astoria then just bought these paint sets which took us hours to finish. It's not easy, I tell you! While we were doing them, we were chatting all throughout with a plate of cheese-tikoy turon (that we made, FYI) that we kept reaching out for. It was super yummy, I swear! The crafty sesh was our way of winding down after dancing (Steph just brought her xbox and we plugged it in) and cooking. It's like a girl's night in - domesticated goddess style! And the great thing about doing crafty stuff is that it becomes an instant event souvenir! 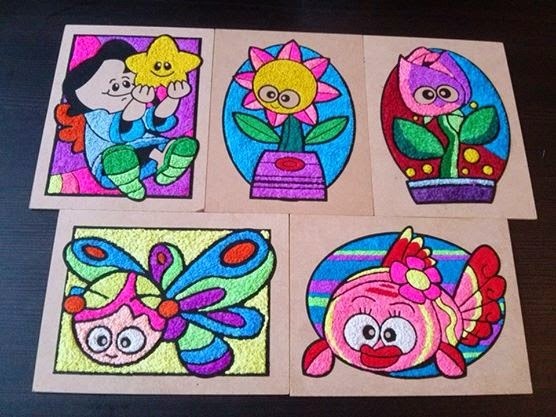 Those are our masterpieces! :D Hooray! 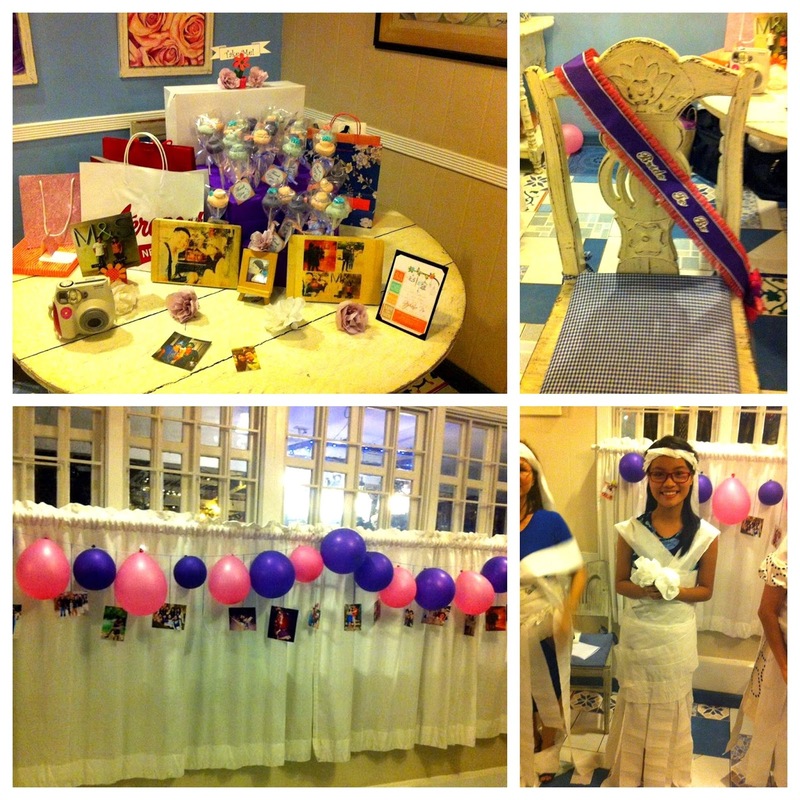 Of course, you can combine the events above like what we did for Potchy's bridal shower wherein we did 2, 3 and 4. Lol! Kaya 24 hour bridal shower! So now's the time time to channel your inner event-planner persona and throw the most-fun bridal shower ever with the rest of your girls! Wow, love these bridal shower ideas. These are truly amazing! I had a brilliant time having a look at these ideas because I need to pick one soon for the surprise bridal shower of my sister. I would love to book the garden themed event space NYC for this bash. That Crafternoon Sesh theme is looking outstanding to me.